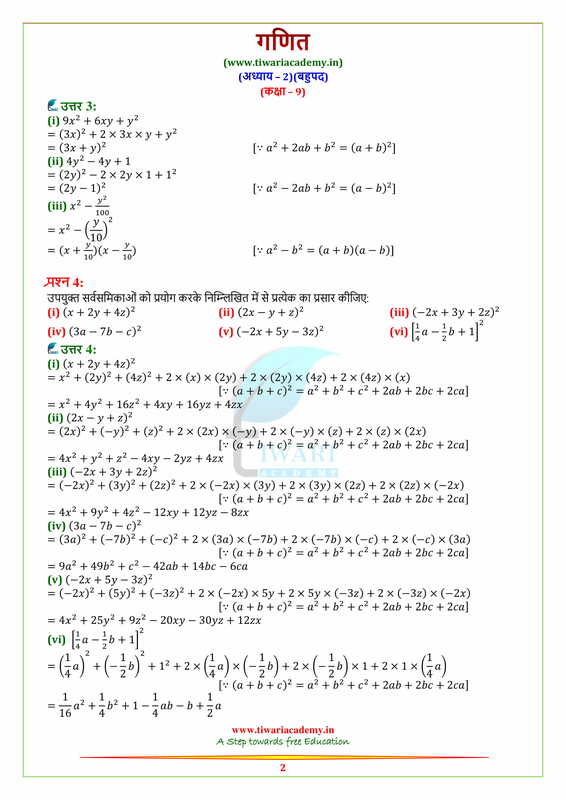 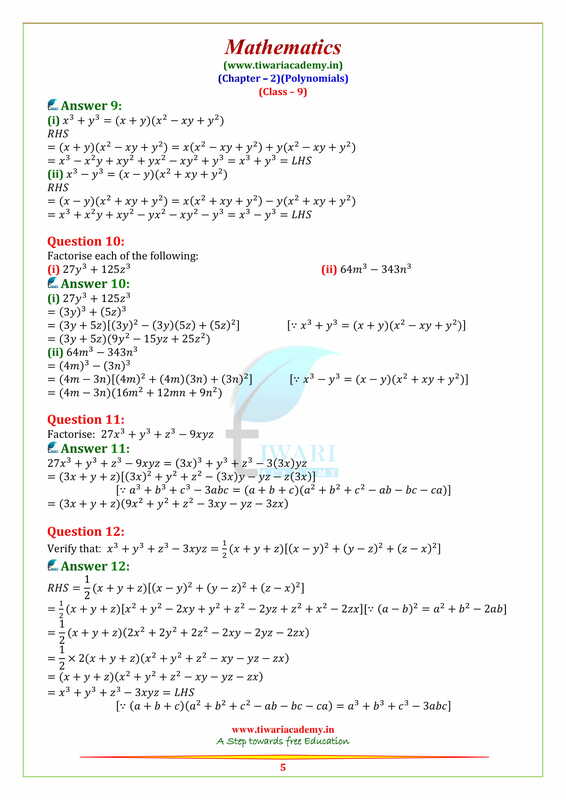 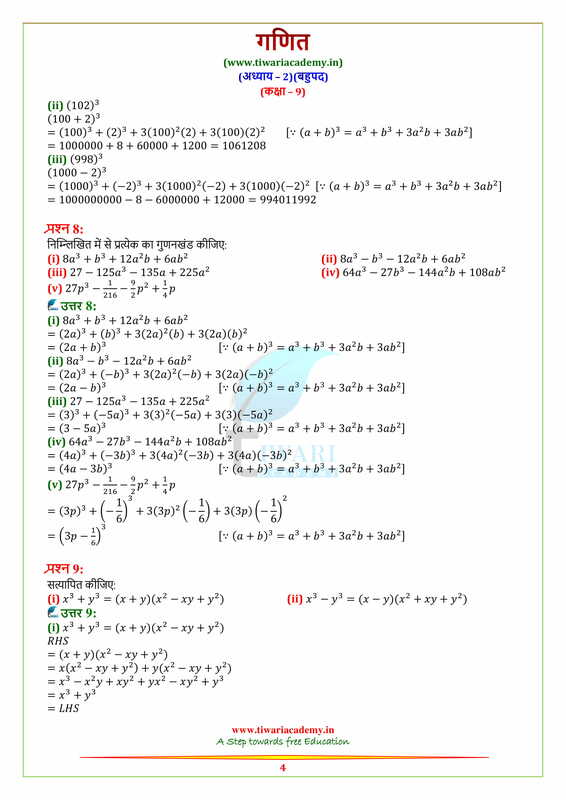 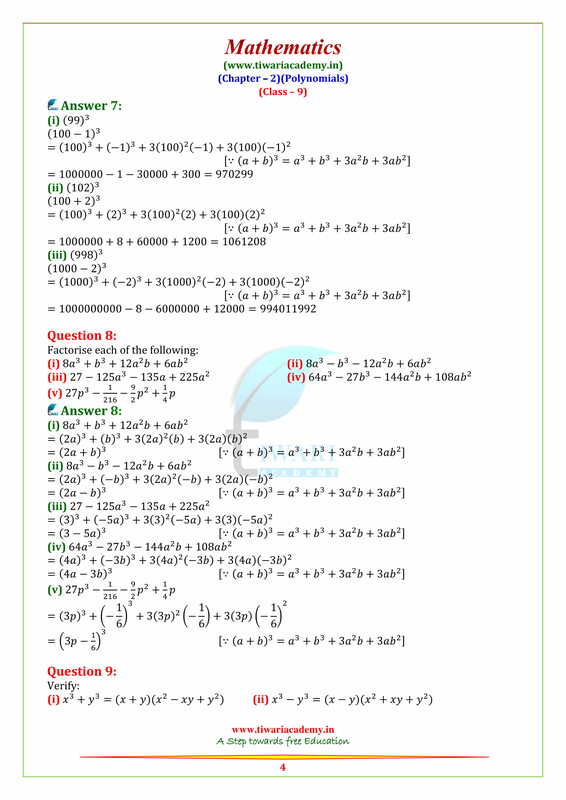 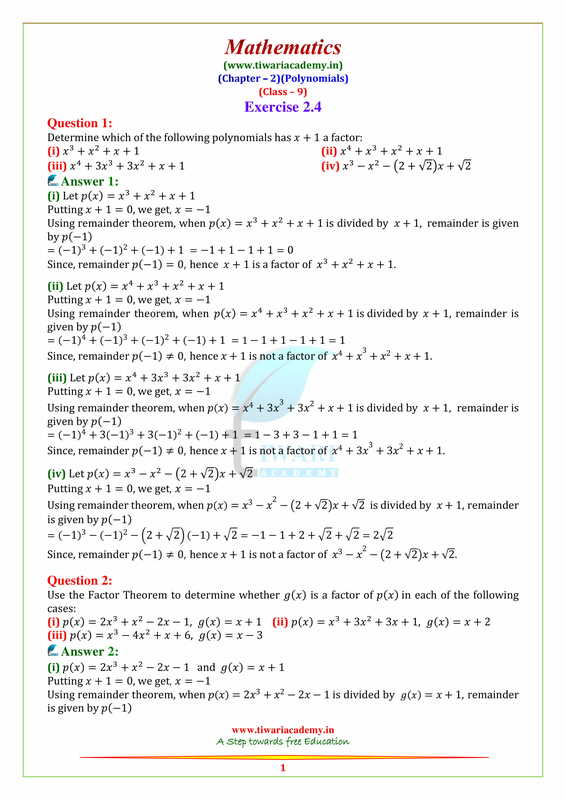 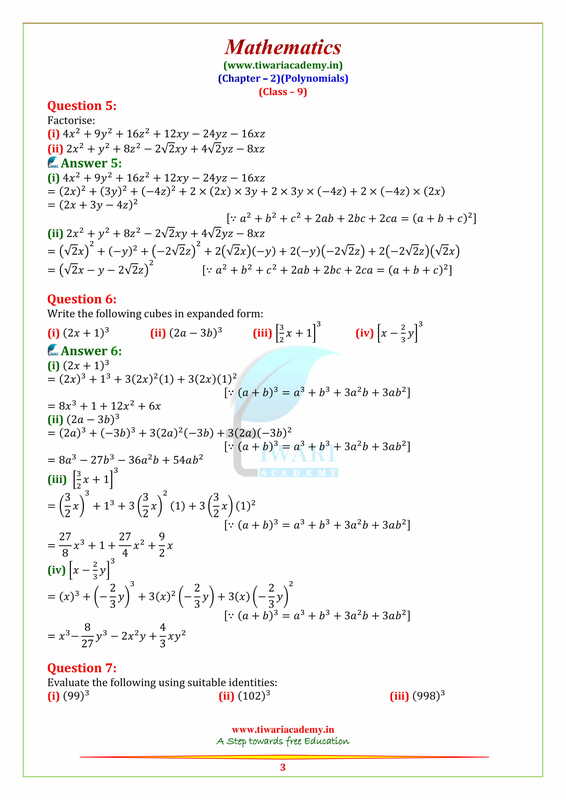 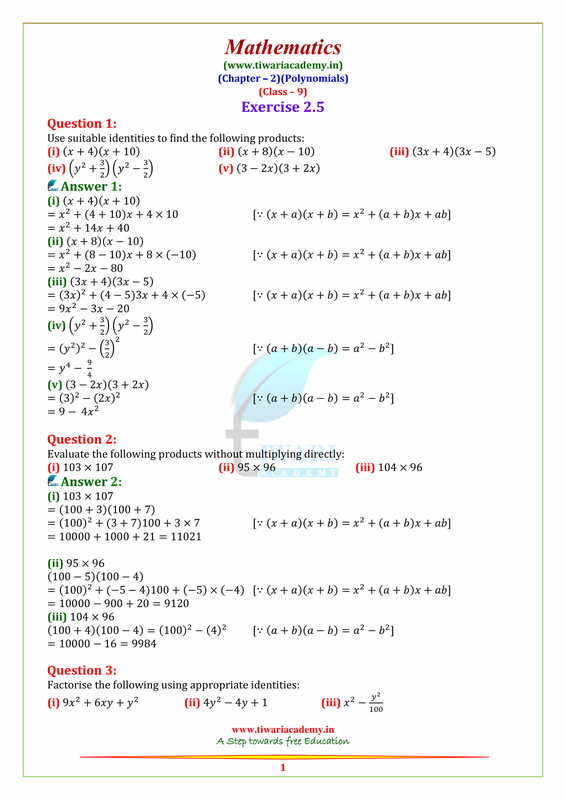 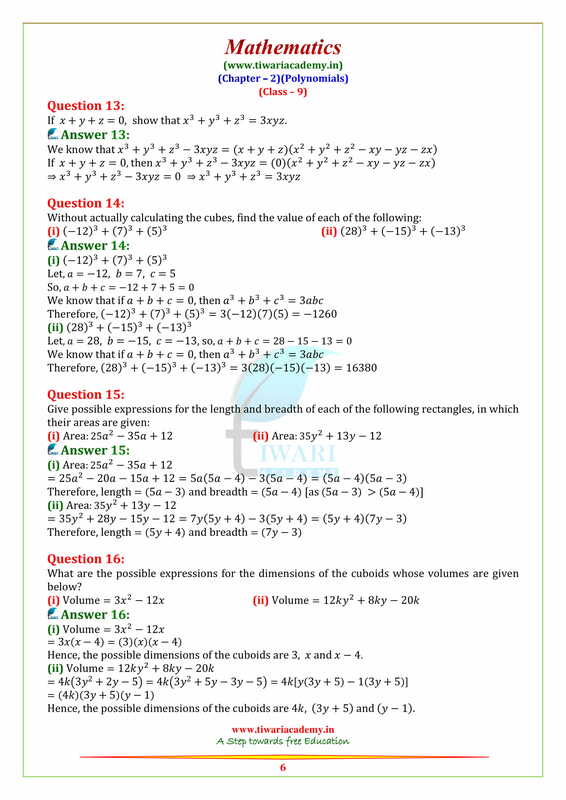 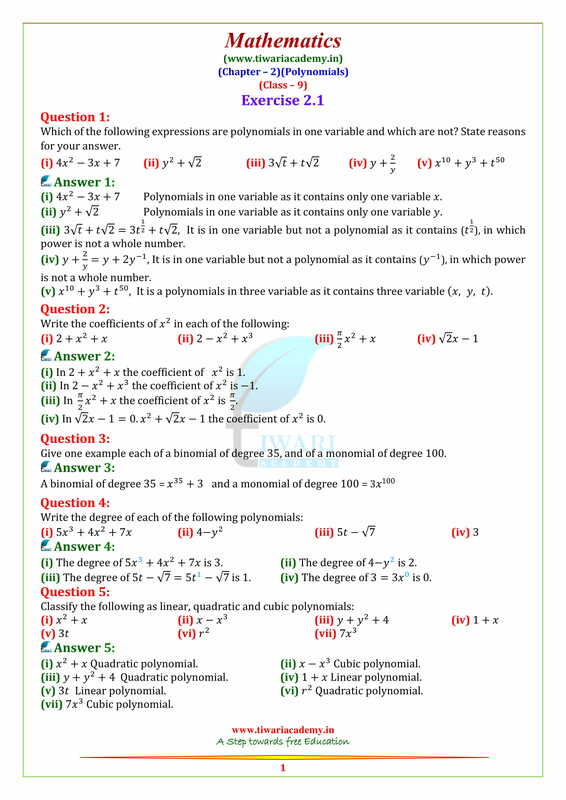 Free download NCERT Solutions for Class 9 Maths Chapter 2 Exercise 2.1, 2.2, 2.3, 2.4 and 2.5 of Polynomials in English Medium and Hindi Medium to use. 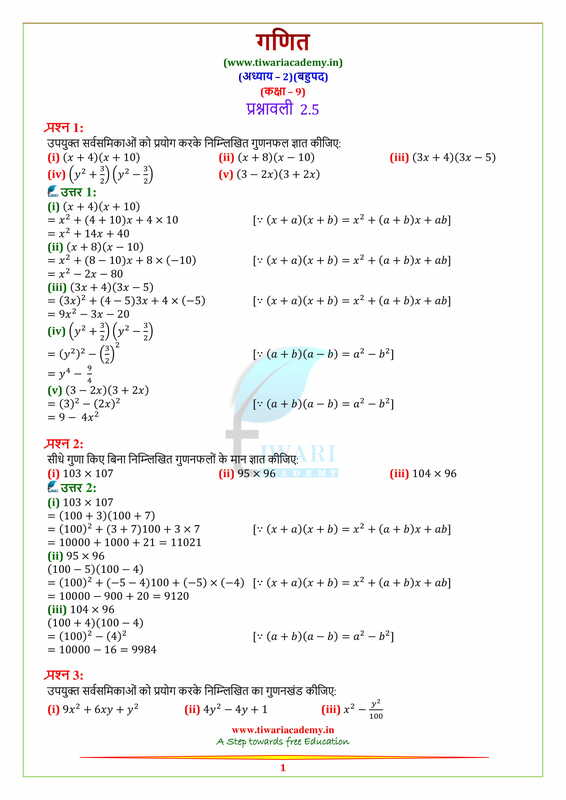 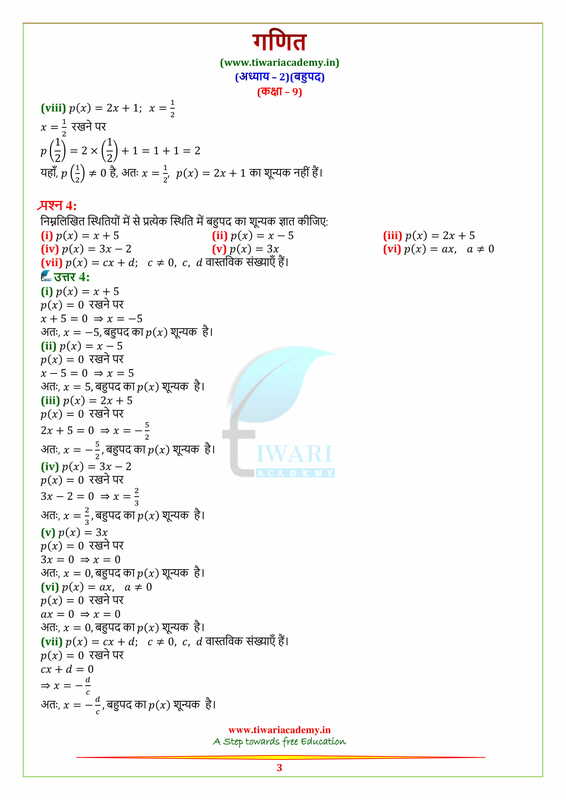 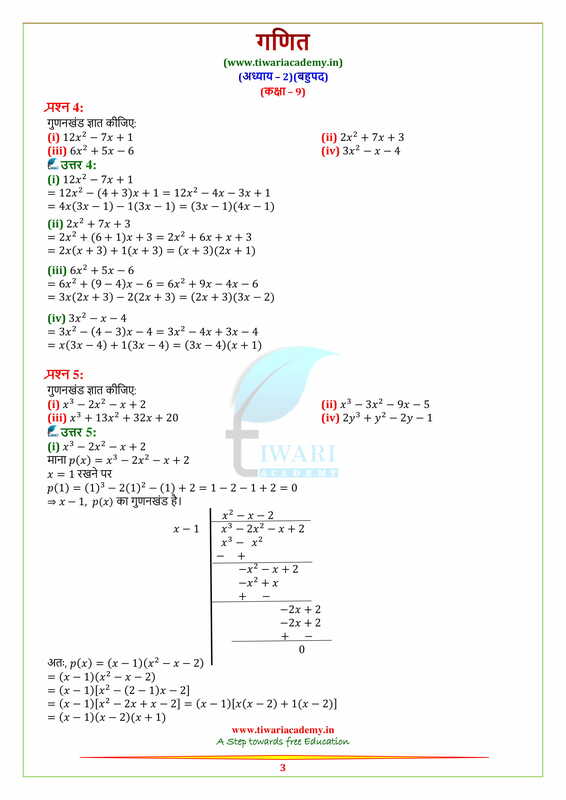 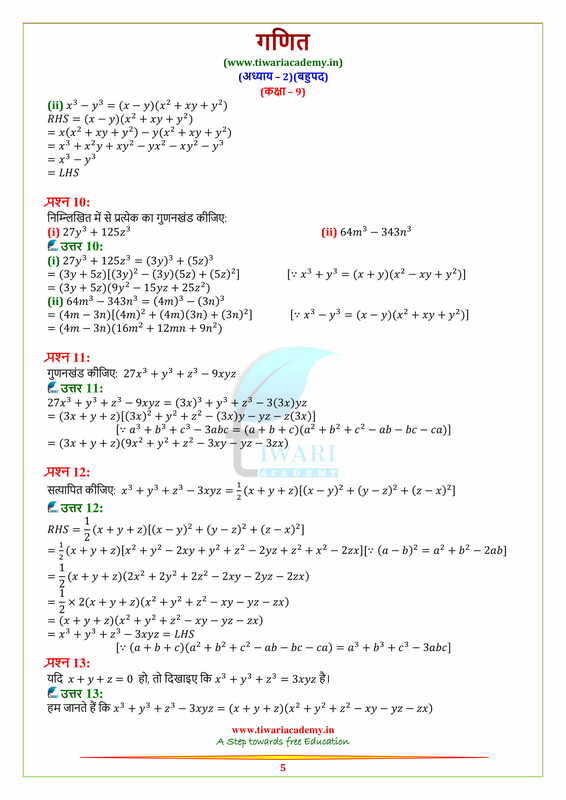 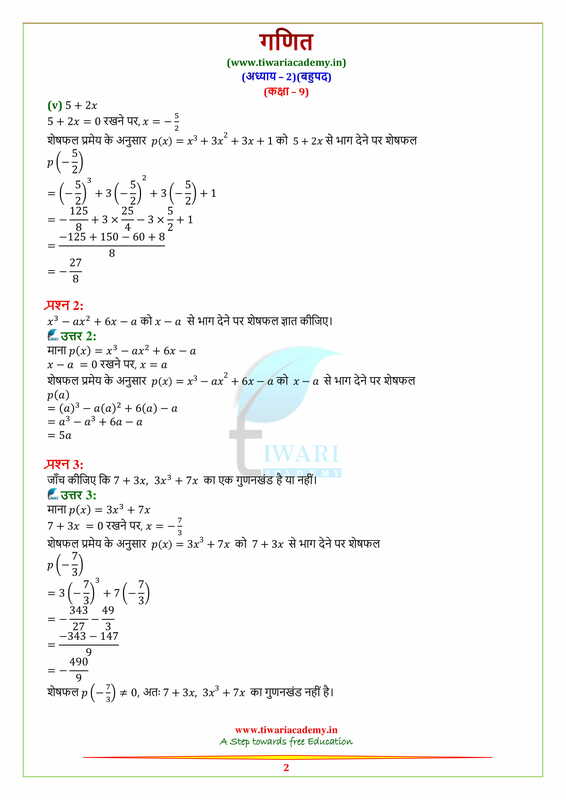 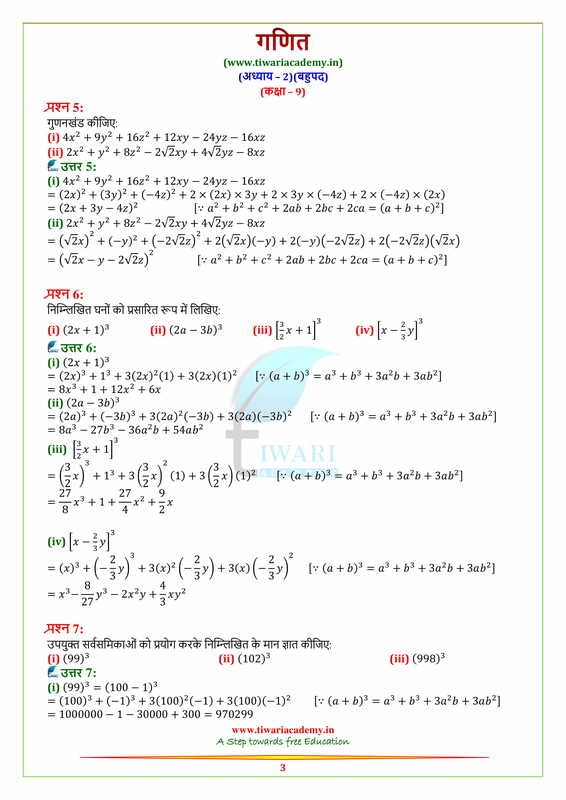 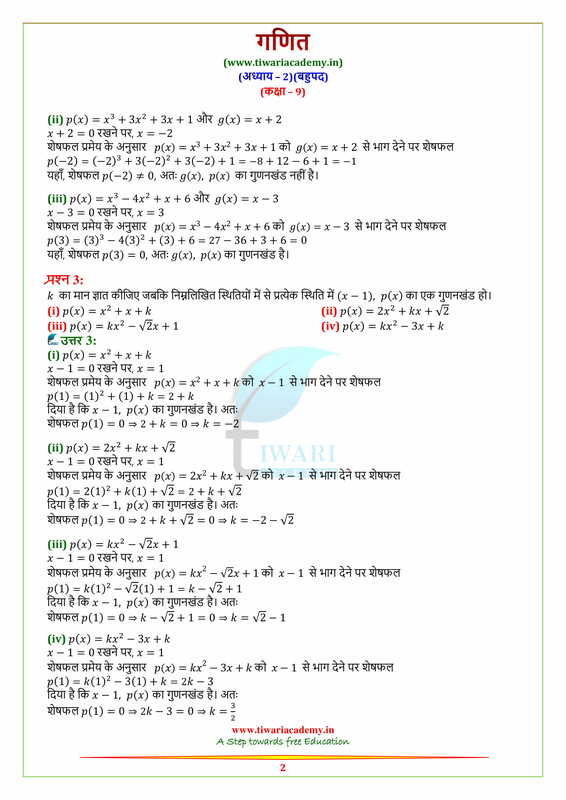 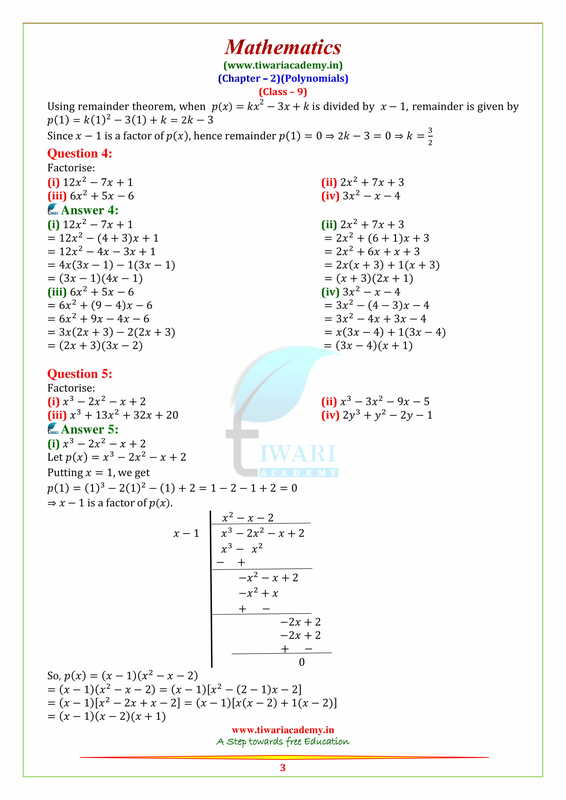 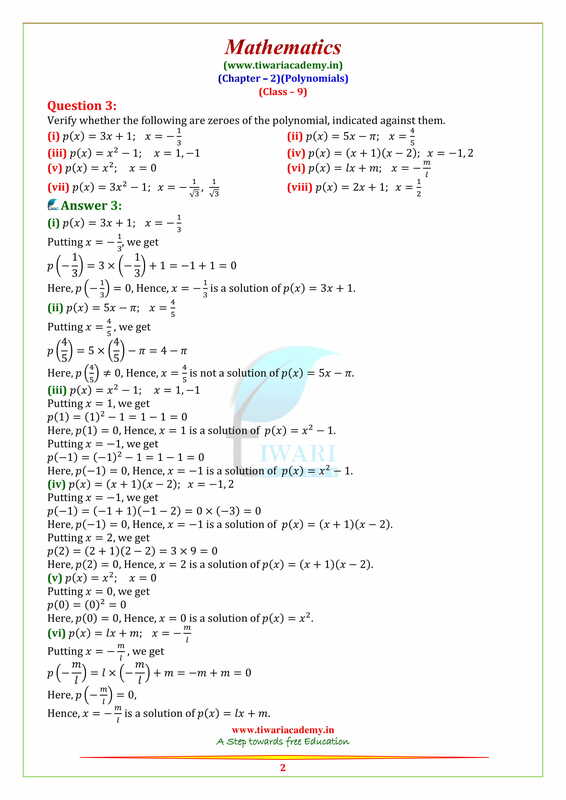 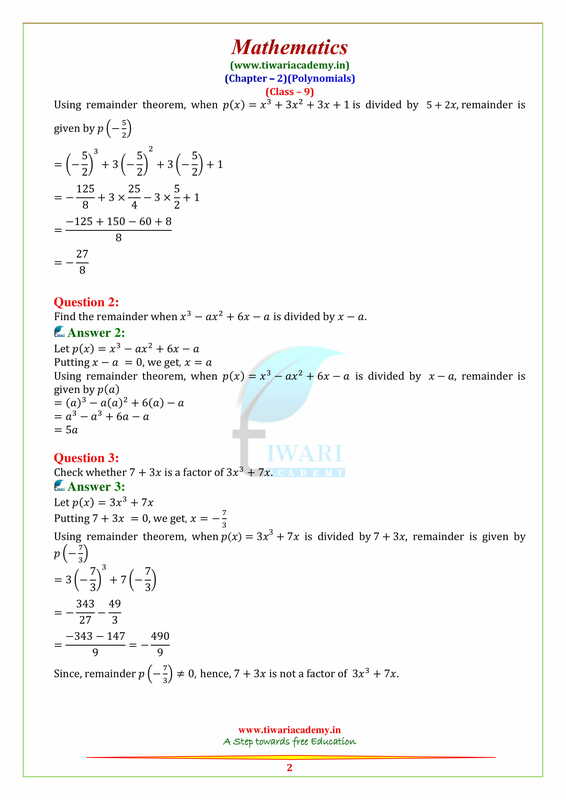 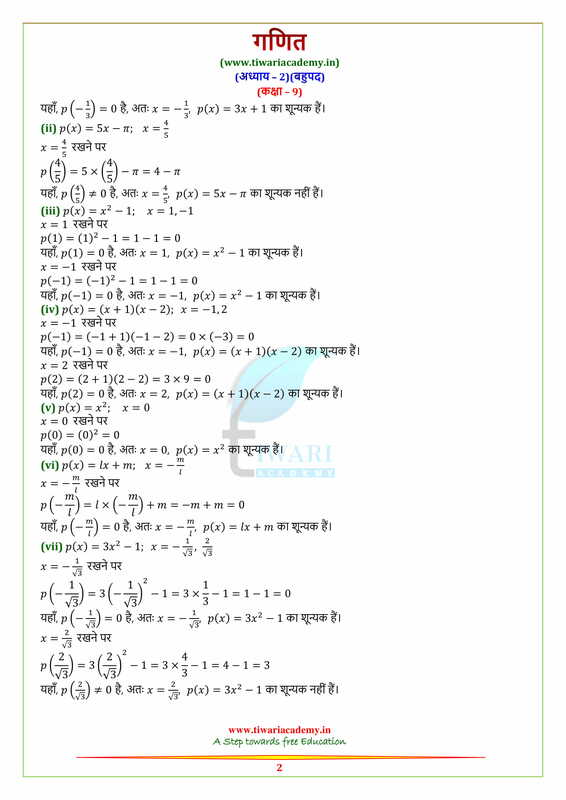 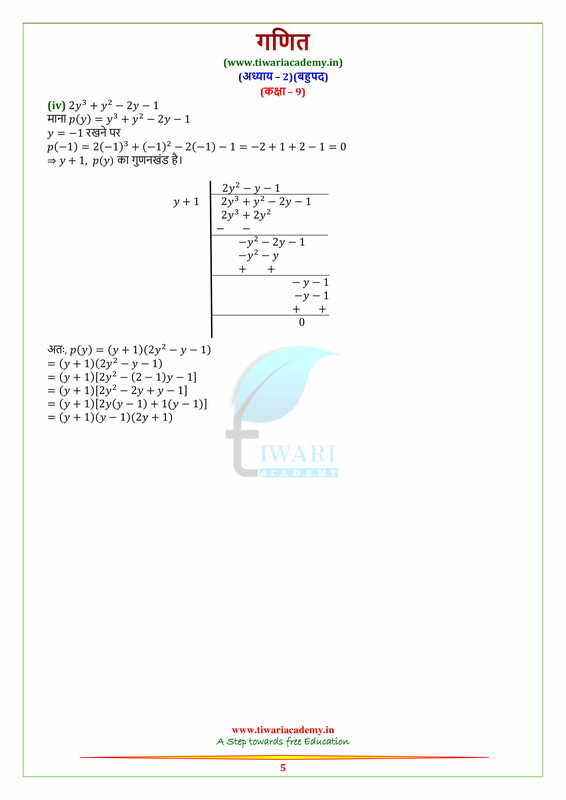 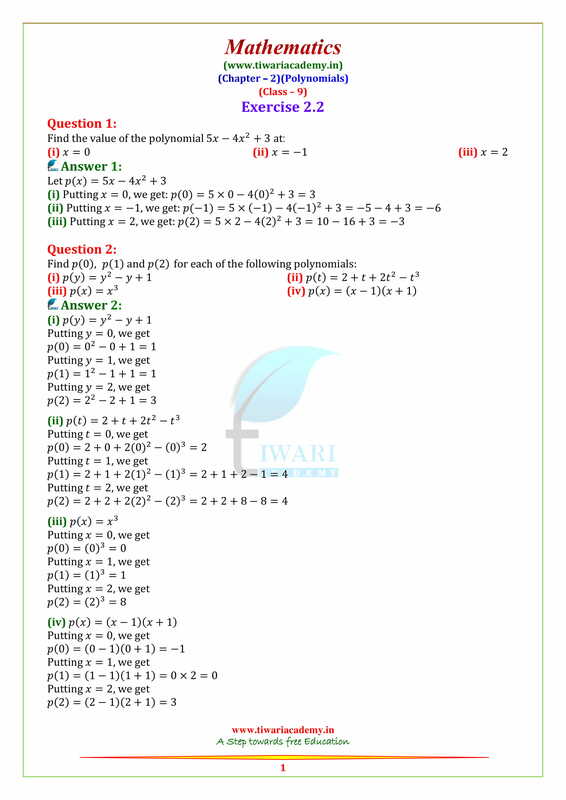 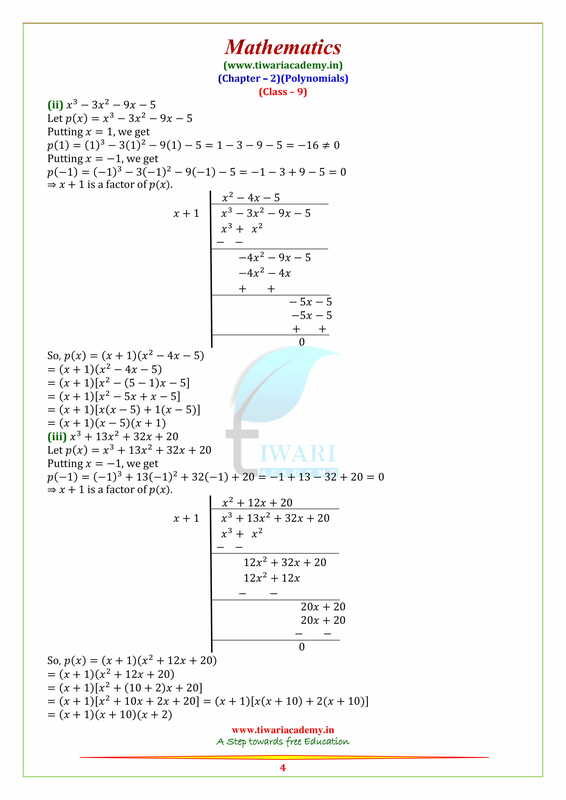 Class 9 Maths all chapters solutions are also given in PDF. 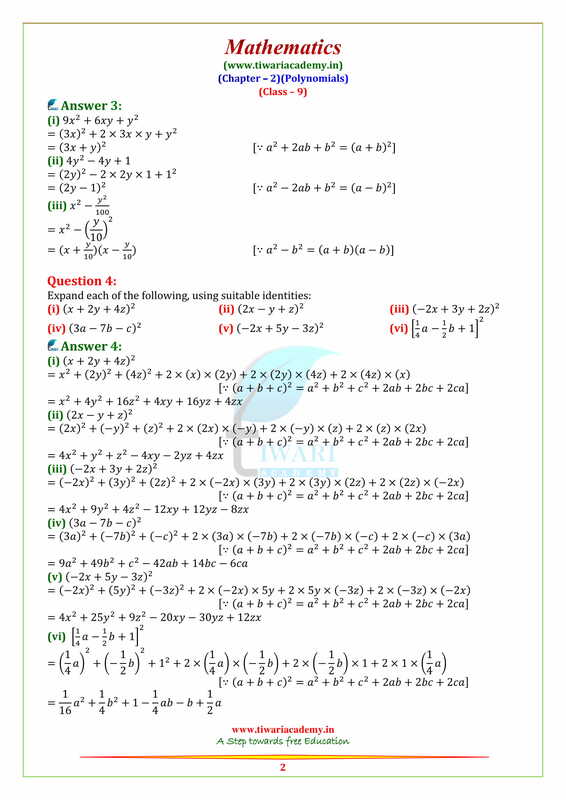 If don’t want to download, use it online. 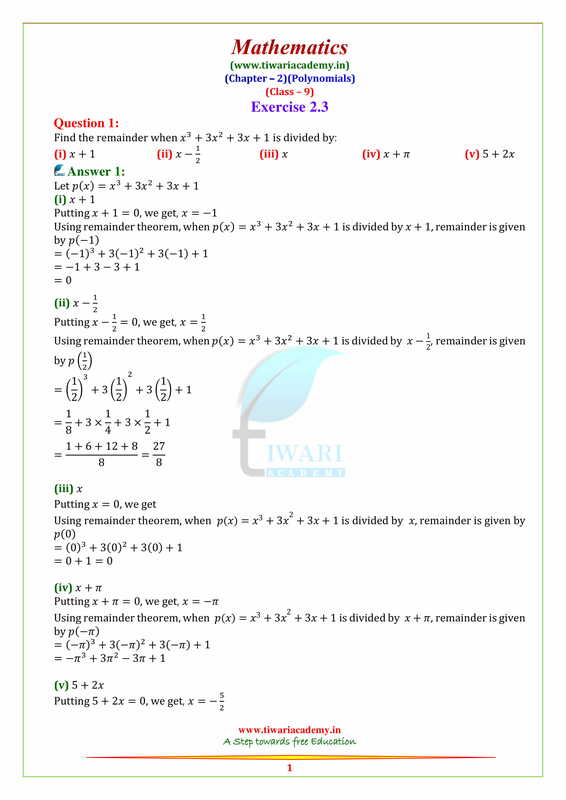 Show that (x – 5) is a factor of x³ – 3x² – 4x – 30 by Remainder theorem. 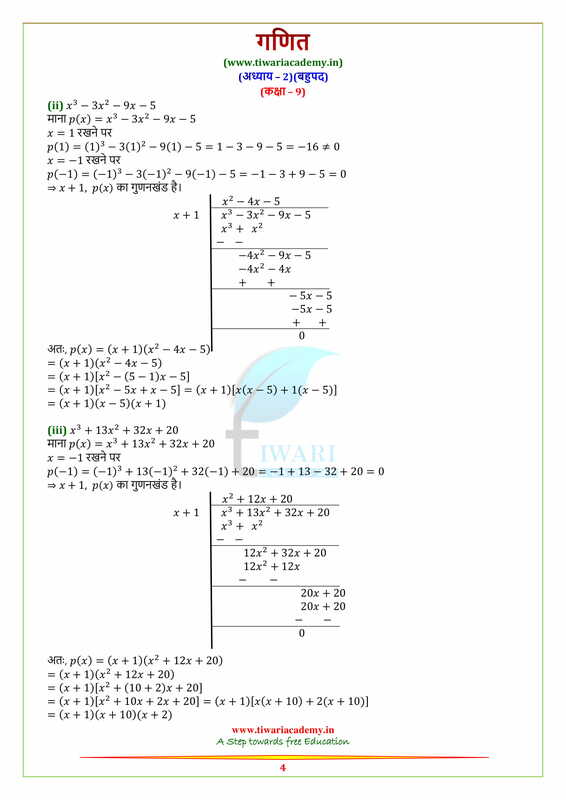 Under tree plantation programme students of Class VIII and IX planted (3x² – 4x – 4) trees in school. 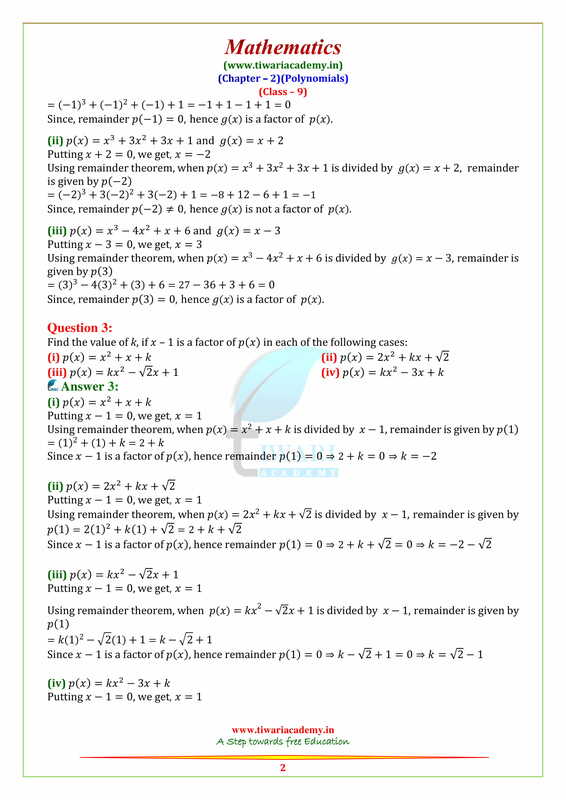 (a) If number of students in those classes are (x – 2) then find out number of trees planted by them. 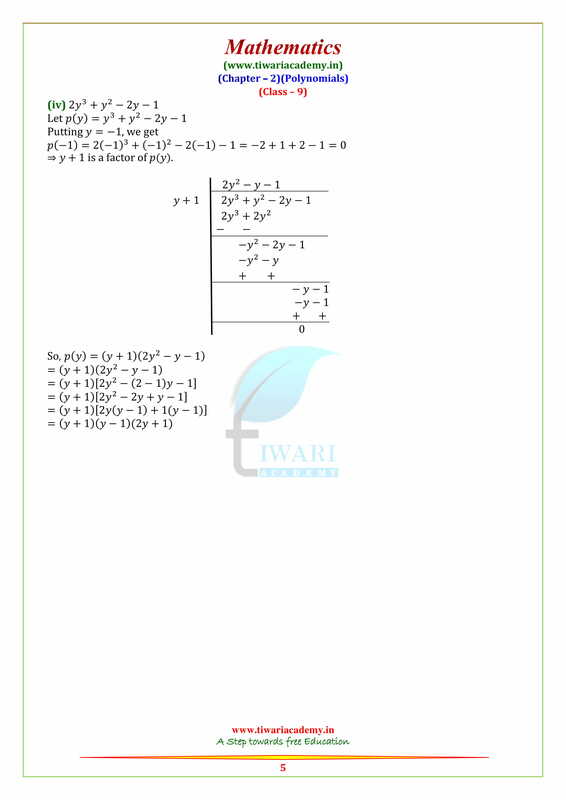 Check whether p(t) = 6t³ + 3t² + 3t + 18 is a multiple of (2t + 3).